In April 1994, South Africa’s era of oppression officially ended when Apartheid was brought to a close. However, now 24 years on, South Africa is still feeling the effects of Apartheid. The latest issue to affect the country is land and the farmers who make their living on it. South Africa’s ruling African National Congress is working towards amending the country’s constitution. According to reports, the ANC has cleared a path to legally seize land from South African farmers. If the seizures do occur, farmers (mostly white South Africans) will lose some of their land without compensation. Why is South Africa’s ANC preparing to take the land? The political party wants to return the land to the people who had it stolen away during colonialism and Apartheid. Those people where black South Africans who lost their property due to the oppression of Apartheid. So far, the proposed expropriation of land has caused numerous debates while also driving the rand’s value down. Will expropriation of land hurt investment into South Africa or will it continue to help build the nation? 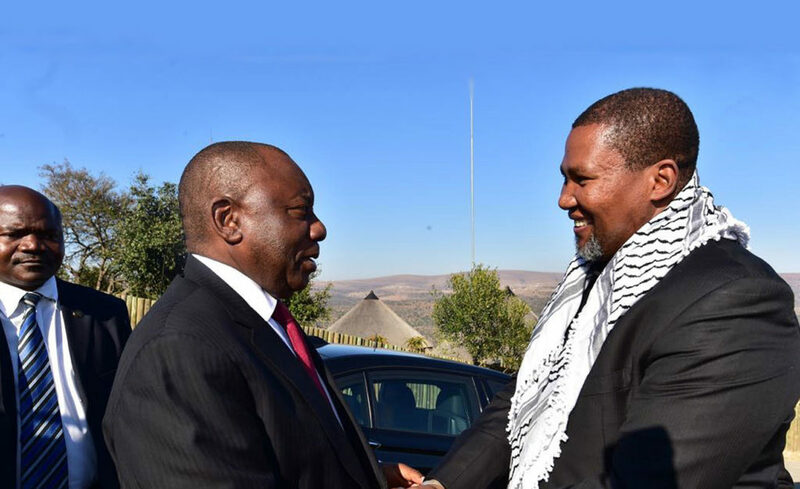 President Ramaphosa has on more than one occasion emphasised that addressing the land question is critical to unlocking greater economic potential and bringing the majority of the people into the economic mainstream thereby addressing deep rooted poverty. 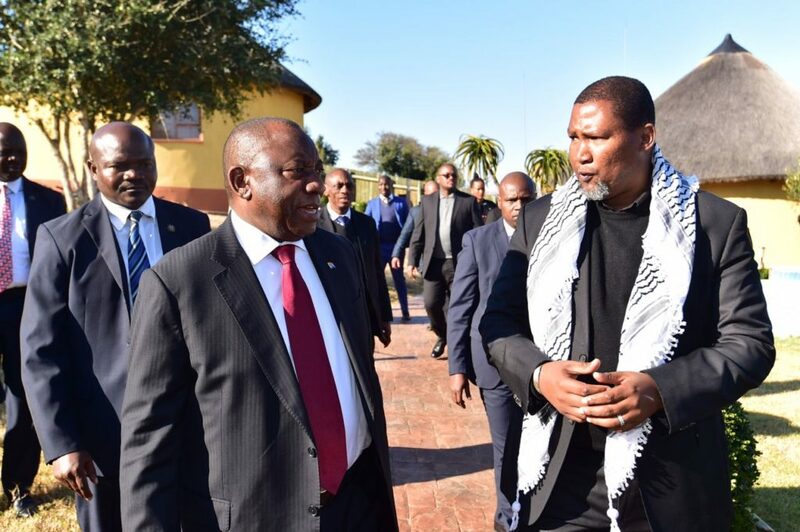 Totalprestige Magazine spoke with Zwelivelile “Mandla” Mandela, chief of the Mvezo Traditional Council and the grandson of famed South African President Nelson Mandela, about the issue and what is really occurring in the country. Can you tell us about the land issue in South Africa. What is the historical background of the land issue? How was it started? What kind of solutions were applied so far? What is the situation now? 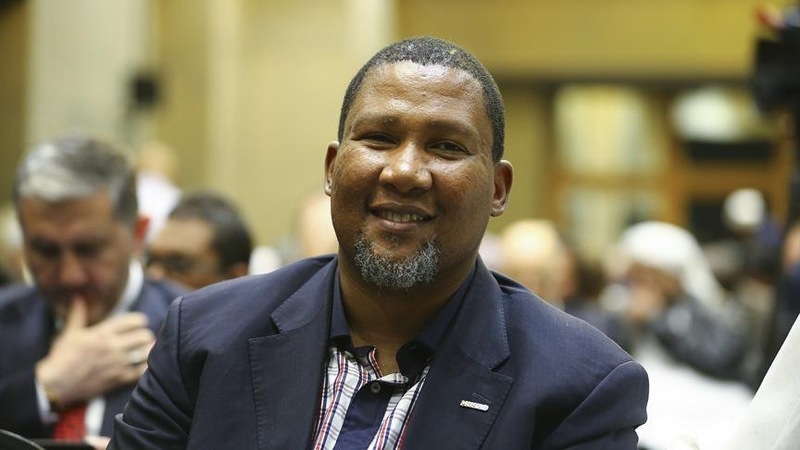 CHIEF ZWELIVELILE MANDELA – Any discussion on land reform in South Africa must be prefaced by the statement that Land reform in SA is a moral, social and economic imperative. The land issue is deep rooted and historic. For nearly 350 years of colonialism and 6 decades of Apartheid rule the majority of South Africans were alienated from the land through dispossession, expropriation without compensation, land grabs and other nefarious means. The 1913 Natives Land Act confined blacks to a mere 10 percent of the land effectively alienating historical land ownership patterns. This was further entrenched by the racist Apartheid regime through legislative processes including the Group Areas Act that uprooted long established communities forcing them off their land and rezoning such land for whites only usage and ownership. This saw massive upheaval and resistance in places such as District Six, Sophiatown and Cato Manor. The apartheid regime brutally repressed such protests and relocated such communities to urban slums far from the main economic centres of activity. That pain and trauma still feeds the current groundswell for radical redress. South Africa’s ruling party the African National Congress (ANC) has since its founding in 1912 viewed land as an intrinsic part of the moral, economic, and social imperative that required redress. This was best captured in a historic document called the Freedom Charter which boldly states that ‘ South Africa belongs to all who live in it, black and white. ” it is this equitable access to land that informs the ANCs policy on land reform and redistribution and the Constitutional provisions for the same. Redistribution was a key tennet of the Reconstruction and Development Programme (RDP) under the leadership of President Nelson Rolihlahla Mandela. Successive ANC governments over the past 25 years have pursued a policy of land reform, redistribution and economic empowerment. However, under its willing buyer willing seller deal the progress has been tardy and has not addressed the growing land hunger and frustration of many whose legitimate land claims have not been realised either because of recalcitrant white land owners or processes that have been cumbersome and unable to respond to the growing groundswell for land reform and redistribution. In the face of mounting pressure and increasing illegal land occupation on the one hand and unwilling, vocal and uncompromising white land owners on the other, the issue has been blown out of all proportion. What is patently clear is that all attempts to make the willing buyer willing seller approach to work has not delivered the desired result. Section 25 of the Constitution of the Republic of South Africa makes provision for expropriation of land without compensation. However it is argued that it is not clear enough in terms of the process and categories of land which may be so expropriated for public benefit and equitable redress. In December 2017 the ANCs National General Conference (NGC) adopted a resolution calling for the implementation of land expropriation without compensation which was then adopted by Parliament earlier this year. In the wake of this Parliament’s Constitutional Review Committee embarked upon a national public hearing process across the length and breadth of the country which has overwhelmingly endorsed the expropriation without compensation principle. What is government’s solution and dispute of political parties on the land issue ? What are suitable suggestions of non governmental organizations ? CHIEF ZWELIVELILE MANDELA – Government’s land reform and redistribution programme must be seen in the context of a bigger set of interventions to address endemic poverty, land hunger, and unequal access to economic opportunities that we inherited from the Apartheid era. It is nearly 25 years since SA became a democracy, but millions of people are still unemployed and live in poverty. In fact, statistics released this week shows that unemployment now stands at 27.2 percent. The South African government has embarked on a big investment drive to stimulate economic growth and create new jobs. This is vital to counter inequality, social unrest and poverty. The inequitable distribution of land is a sore point and source of immense social dissatisfaction. We view land as one of the greatest economic enablers as it can unlock opportunities for small and large scale farming on unitilsed land, address food insecurity and provide opportunities for much needed growth. In order for SA to secure the future, and to ensure equitable and just human development opportunities as envisioned by our first democratic president, Nelson Mandela, reform of patterns of land ownership in SA is an issue we defer as a nation at our own peril. South Africa has a robust democracy and a strong culture of engagement. Unfortunately, opposition parties are often guilty of oppositionism I.e. that they see their primary role as rubbishing any and all government initiatives sometimes at the expense of national interest and priorities. However, we will be the first to defend their freedom of expression. South Africa’s largest political opposition has unfortunately developed somewhat of a reputation as the great defender and maintainer of white privilege. In order for SA to secure the future, and to ensure equitable and just human development opportunities as envisioned by our first democratic president, Nelson Mandela, reform of patterns of land ownership in SA is a critical issue.. This is nowhere more evident than on the land issue. Others focus on land reform and expropriation as a political tool to mobilise and ensure that they shore up their support for the upcoming national general elections in 2019. In doing so they are fostering a culture of land grabs and fomenting social unrest and civil disobedience. South Africa has always prided itself on its strong NGO and CBO sector. However the problem of foreign funding to some in the NGO sector has perilous consequences and serious implications for what agendas are driven by such NGOs. The land issue is a potential powder keg and therefore we pursue with all ernestness but exercise great caution. The recent public hearings on land reform demonstrated the power of this sector as these hearings were attended en masse by numerous NGOs and predictably supported the call for expropriation without compensation. Why could the land issue not be solved since the end of Apartheid? CHIEF ZWELIVELILE MANDELA – We must realise that the land issue is a complex challenge that has profound emotional, social, economic and political ramifications. This is true for both the current owners as well as those who were historically dispossessed. The nature of our political settlement to stave off civil war and ensure a peaceful transition to democracy meant that our approach was never going to be one of summary land grabs. It would not be an understatement to say that our approach of willing buyer willing seller depended on the good faith and cooperation of the white minority in whose hands 90 percent of our land was vested. It is patently obvious that over the past two and a half decades they did not come to the party. From the public noise it is apparent that given the space they would use every recourse to retain the status quo. The second element that has hampered the land restitution process has been the dire poverty that our people confront. We have it on good authority that 70 percent of the land that the state had acquired from private land owners ended up back in the hands of the white land owners as the new black owners readily sell their newly acquired land back and take the cash and run. This has severely hamstrung the land restitution process. Thirdly, the land available for redistribution is miniscule in relation to that needed for redistribution. Finally, the land issue has now become such a huge political football that everyone is in on the act and whilst it has been the desire of the ruling party to expedite land reform we are impeded by threats of legal action and the process being elevated to South Africa’s Constitutional Court. How the South Africans see Australia and USA approach to this issue. CHIEF ZWELIVELILE MANDELA – It is rather unfortunate that both Australia and USA have taken such a negative stance towards South Africa’s land expropriation without compensation policy. Let me emphasise that there will be no land grabs and that we will engage a process fully in accordance with the provisions of our constitution as a sovereign state. We can assure you that we will follow a process that is orderly, just and fair. It is unfortunate that Australia has responded to the right wing Afriforum’s scaremongering tactics designed to protect the privileges of a white minority. Australia must attend to its own mess and the way that they liquidated the aboriginal peoples of that beautiful land. I applaud Minister Sisulu’s decisive action in issuing an Order De’Marche demanding an immediate retraction from Minister Dutton. We regard his offer of expediting visas for white south African farmers aren’t as inappropriate and in bad taste as no South African citizen will be subjected to such emotional trauma that they have to flee the country. As for USA and Mr Trump that is truly a case of the pot calling the kettle black. The USA was founded on the illicit process of extermination of the native americans who were not only driven off their land but hounded like animals onto reserves. As for Mr Trump’s hypocrisy well we have no words; the man who gave away another nation’s land in defiance of the UN Resolution declaring East Jerusalem as the inviolable capital of the Palestinian state wants to lecture us on how we should conduct our domestic affairs. What a nerve? . How should the world understand land issue of South Africa? CHIEF ZWELIVELILE MANDELA – South Africa is a sovereign state that has gone to great lengths to allay the fears of all our people and the global community. We have no plans to engage in summary land grabs. We will embark on a process fully endorsed by our people through Parliament’s process of public hearings. We will not take anybody’s homes and property and arbitrary seize it. We want to emphasize that our policy is designed for historical redress, unlocking the economic potential of our country, and ensuring that we are able to meet the pressing need of of land to fight poverty and skewed and inequitable redistribution of land. Is there any similar big issue that comes from apartheid era to today? CHIEF ZWELIVELILE MANDELA – Yes, certainly the land question is merely symptomatic of a larger malaise. The control of our economy is still vested in the hands of the white minority despite nearly two decades of black economic empowerment. Just to illustrate this point I want to cite a study conducted by COSATU one of our largest trade union movements. The study was done in 2008 and found that in 1994 Afrikaner White Capital controlled 12 percent of all listed stock on the JSE by 2008 this had grown to 48 percent. This highlights the biggest challenge that we have faced in transforming our economy; blacks simply don’t have the access to capital required to gain control of the commanding heights of the South African economy. Despite all the doom and gloom that some spread the hard facts bear testimony to the fact that whites had it good under apartheid which secured for them a life of privilege but they have it even better under the democratic dispensation. They still occupy 72 percent of all top management jobs in the private sector. A white matriculant has seven times greater chance of landing a job than a black matriculant. Quality education is another challenge that continues to bedevil us as whites can afford access to top private educational institutions. The disparities in education that we inherited from apartheid was so colossal that we still haven’t been able to achieve parity. To illustrate this the last Apartheid budget in 1993 was R93 billion and South Africa’s education budget now stands at over R300 billion. This can only be fully understood if we consider that under apartheid a white pupil received a state subsidy of R7000, an Indian pupil received a subsidy of R5000, a coloured pupil R700 and a black African pupil only received a subsidy of R300. The gap that we had to cover was therefore almost impossible to breach . This iniquitous legacy still hounds us. The final example but not the only way in which the long and dark shadow of apartheid still abides is evident in the urban rural divide. Rural areas in South Africa where the vast majority of blacks reside still face the problem of no or poor infrastructure with many villages having no running water, poor sanitation and access to primary health care. Even the village where Madiba was born doesn’t have running water, flushing toilets and we only recently opened a primary healthcare clinic. We have made significant progress in many areas over the past 25 years but we still live in a country of two worlds; one boasting world class first world infrastructure and the other still reeling under endemic poverty and underdevelopment reminiscent of the skewed apartheid planning and all its social and economic challenges. Obviously, there is a lot at stake for South Africa and its population. Mandela’s words should give more people, especially those outside of South Africa, far more clarity on the land issues at hand. South Africa’s bold expropriation of land is a way to make the country one, rather than two worlds living side by side Mandela spoke about. If the land issues are resolved, South Africa could be the guiding light for other countries in the fight to narrow the gap between the haves and have nots.